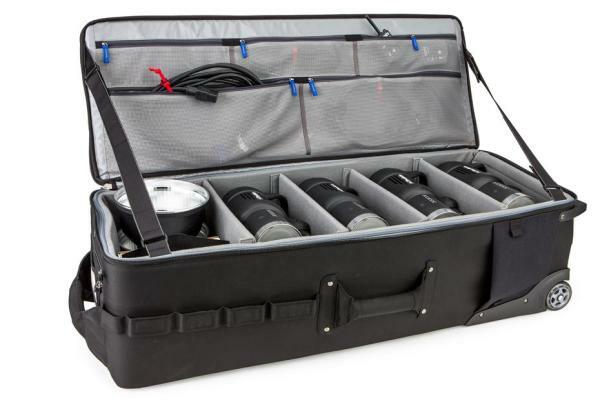 The Think Tank Production Manager is a new studio lighting case that will hold 3–4 flash heads or 2–3 generators. Think Tank Photo has announced a new studio lighting case. The Think Tank Production Manager is “designed to transport and haul a vast quantity of lighting gear” with movable dividers, various internal pockets and an exterior to which modular accessories may be added. According to Think Tank, the Production Manager will hold 3–4 flash heads, 2–3 generators, or you can fill it with monolights, LEDs, softboxes, brollies and small stands. 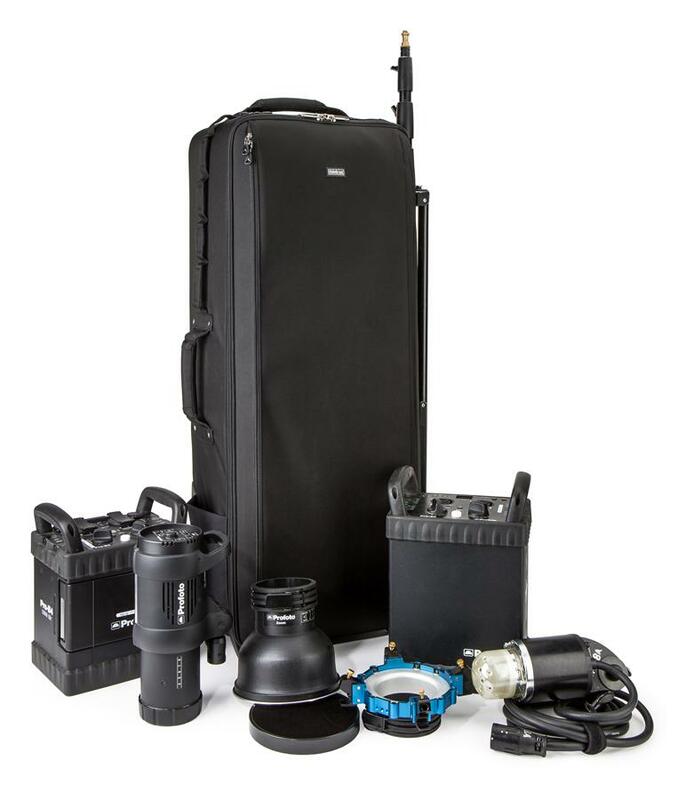 One example on the manufacturer’s web site shows it packing four Profoto B1 heads plus reflectors. The bag itself has a “durable, water-repellent coating”, large replacable wheels and includes a locking cable to keep everything safe. There are light stand straps on both sides of the case and zip pockets to hold umbrellas, reflectors and cables. This is a large case and so has “antique nickel-plated” metal components with a tall skid plate. The Think Tank Production Manager is priced $549 in the US from Adorama and B&H, or £440 in the UK from SnapperStuff dealers. For more images and specs visit the manufacturer’s product page. Think Tank Photo will be exhibiting at Photokina 2014 on stand A033, Hall 2.1.